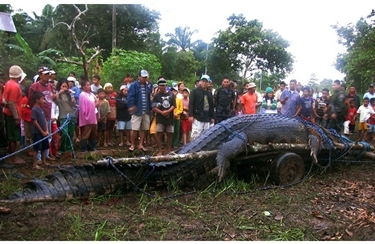 One Feedback on "Largest Croc Caught Alive"
Also, there has been a report of missing domestic animals such as dogs and cats in Bunawan. Locals are baffled, but apparently their captive monster croc has been putting on weight. Film at 11!